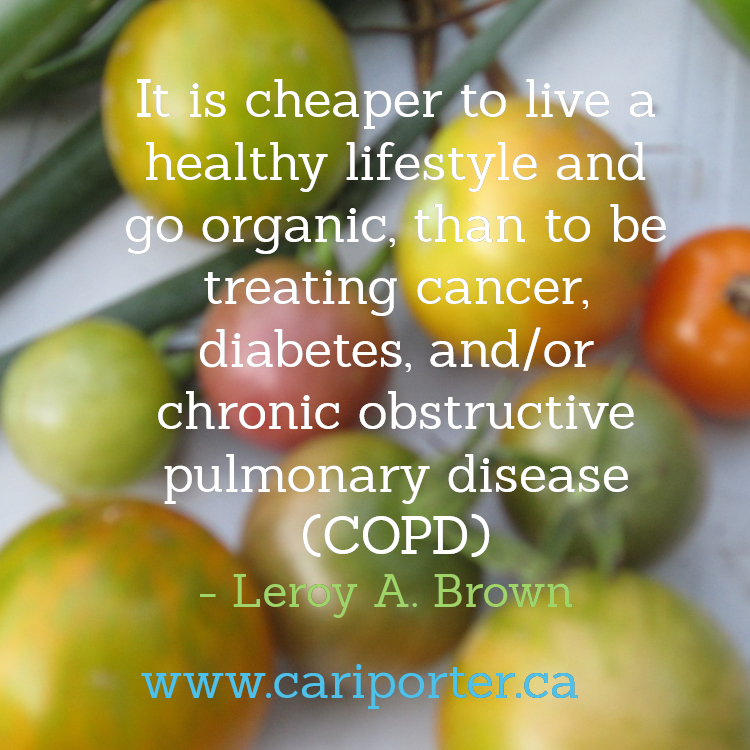 Cariporter Organic CSA is a great start to a wonderful life. This is where you can look good, feel great and stay healthy. It is a fact that organic food has nutrients that will help you achieve looking good, feeling great, staying healthy and more. For example, the omega-3 fatty acids will help to reduce the occurrence of joint and bone pain, and antioxidants will help to reduce aging. So go ahead and join Cariporter Organic CSA where you can receive single or weekly deliveries of basket size amount of various fresh, nutritional, healthy, local organic food at your door. from our farm in Brampton, Ontario, Canada to any address in the following cities in Ontario - Ajax, Brampton, Burlington, Caledon, King City, Markham, Mississauga, Oakville, Pickering, Richmond Hill, Thornhill, Toronto and Vaughan. For now, all deliveries are done during the farming season which is mainly May to October depending on weather. To ensure you are on the list and to receive make your purchases between December to April. The earlier you buy, the greater the discount. Purchases after this period will be subjected to availability. JOIN OUR NEWSLETTER FOR RECIPES, DISCOUNTS, INFORMATION, ETC. AFTER JOINING OUR CSA, GET A FRIEND TO BECOME A MEMBER AND EARN $15 TOWARDS YOUR NEXT PURCHASE. We usually grow and deliver up to thirty two (32) crops from May/June to October. Some of the crops we grow are Basil, Cabbage, Callaloo, Cantaloupe, Chives, Collards, Edible flowers - Calendula, Boarge and/or Nasturtiums, Eggplants, Garlic, Ground cherry, Kale, Leeks, Lettuce, Onions, Parsley, potatoes, Salad mix, Spinach, Sweet peppers, Tomatoes, Zucchini, etc. Learn more about community supported agriculture (CSA) HERE.